At the 2016 Finningley Rally i Spotted some analogue ATV Transmitters made by Gigawave, various frequency versions were available. 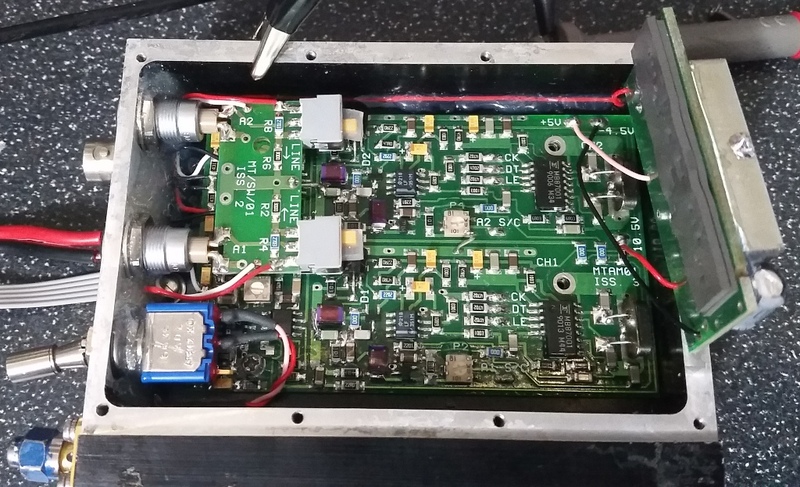 I mentioned the 6cm version to Clive G4FVP and he snapped one up quickly to use on GB3KM's new 6cm input. 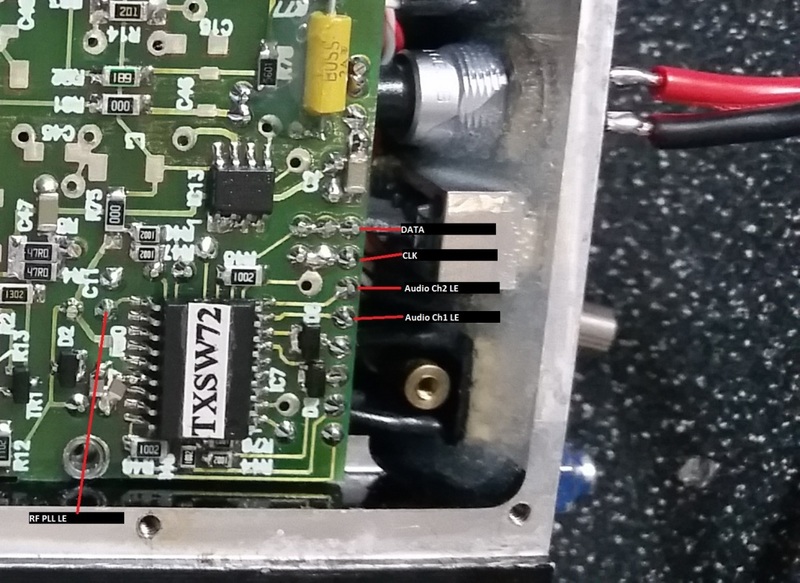 The Tx generates ~1W and has 16 pre-set channels and fixed 6.8/7.5MHz audio frequencies. 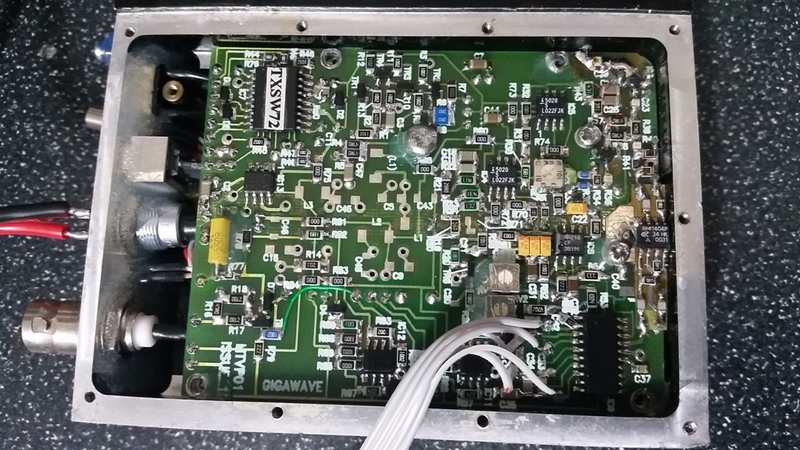 I have managed to re-program the Tx frequency specifically for GB3KM's input on 5.665GHz, and set the two audio channels, now on 6.0MHz and 7.5MHz. Here is a Link to the Arduino code for 5.665MHz RF and 6.0MHz/7.5MHz Sound. I cut the tracks between the marked connection pads and the original PIC IC.